This article was originally published in a recent edition of Laser Community, a Trumpf publication. Everybody is happy when there’s nothing to see: seams on the tailgate, water channel and vehicle roof must be durable but otherwise unnoticeable. That’s what automotive manufacturers and their customers want. Rippled and frayed seams are completely taboo, and perfect transitions are ideal. While welding usually has the upper hand in car body construction, it’s not good for parts that will be visible once the vehicle is finished. 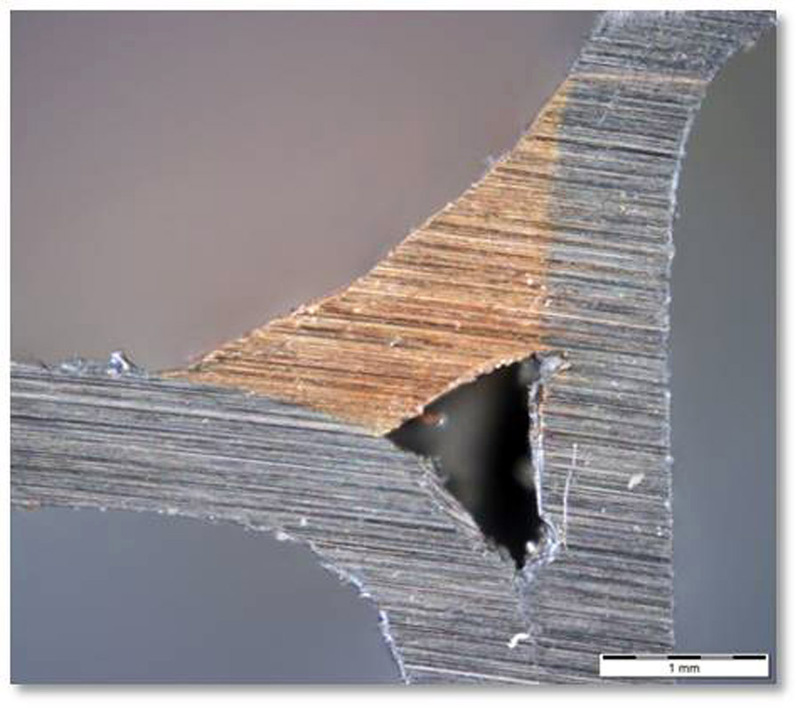 The process does not meet optical requirements – weld seams are too thick, rippled and frayed. Laser brazing, on the other hand, has established itself in this area of automotive manufacturing because it can do what laser welding can’t: namely, produce durable seams that no one can see later. With laser brazing, a solid-state laser heats up the filler material – usually a copper-based wire – to more than 900 degrees C or 1,652 degrees F and thus to above its melting point. The soft material is evenly distributed in the joint gap, it wets the base material and bonds the two mating parts together after it has cooled off. Thanks to the even outflow of the copper wire, the seam can hardly be seen later. Laser brazing is different than laser welding because the base material is not melted by the laser beam, it is simply wet by the filler material, which delivers a micro-level bond between the two mating parts. This is a key factor because melting the two materials would increase corrodibility as well as reducing the optical quality of the seams, making them noticeable. It’s not just because of the attractive seams that automakers across the globe prefer laser brazing. Other benefits include good gap bridging, low heat input and high seam durability. In tensile tests done on seams created with laser brazing, the base material is more likely to tear than the seam. That is due to the filler material – typically a CuSi3 wire. This wire has a melting temperature below that of steel and lends itself to filling the joint gap, and it is also very durable. Moreover, laser brazing is a fast process: OEMs currently work at a process speed between 1.8 m and 4 m per min. in standard applications. 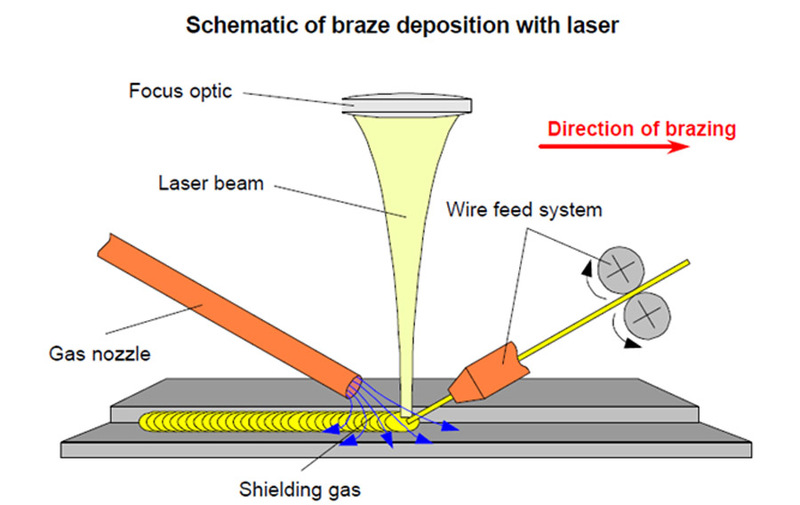 With laser brazing, the two mating parts bond on a micro level. Laser brazing has firmly established itself in the automotive industry. But new materials currently entail new challenges: hot-dip galvanized metal sheets are currently very popular in car body construction. In the foreseeable future, these will no doubt replace the electro-galvanized sheets used to date because they are more resistant to corrosion as well as being cheaper and more readily available worldwide. However, the fact that hot-dip galvanizing is less uniform as a coating makes it harder to achieve the declared goal of laser brazing – namely a non-porous and spatter-free seam that is no longer visible after painting. A project team at Trumpf was tasked with finding a solution. For their testing, they used a 6-kW disk laser and adaptive laser processing optics with integrated seam tracking. A special trick opened the door to the solution – shaping the laser beam. The developers divided it into three partial beams with different diameters and powers. Small focal points play an important role in this context. They prepare the metal sheet by removing the zinc coating and preheating the base material. Everything then runs smoothly in the following brazing process, meaning the hot-dip galvanized sheet can be joined without any spatters and pores – at speeds of up to 4.5 m per min. at present.